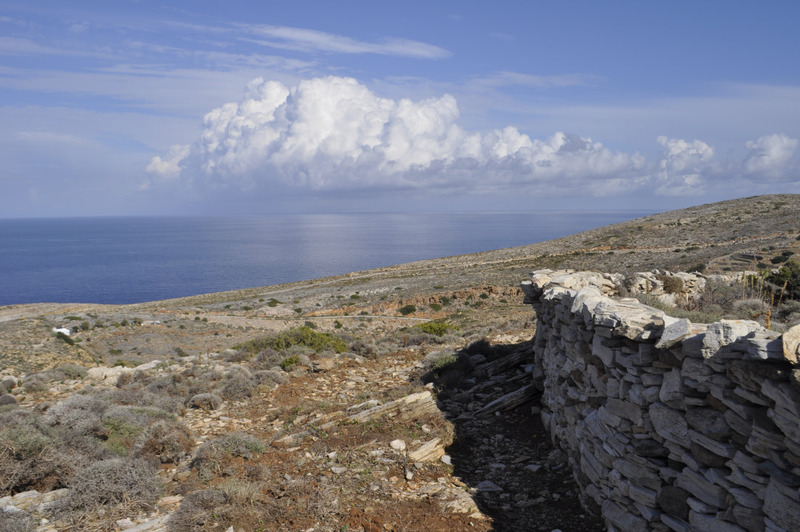 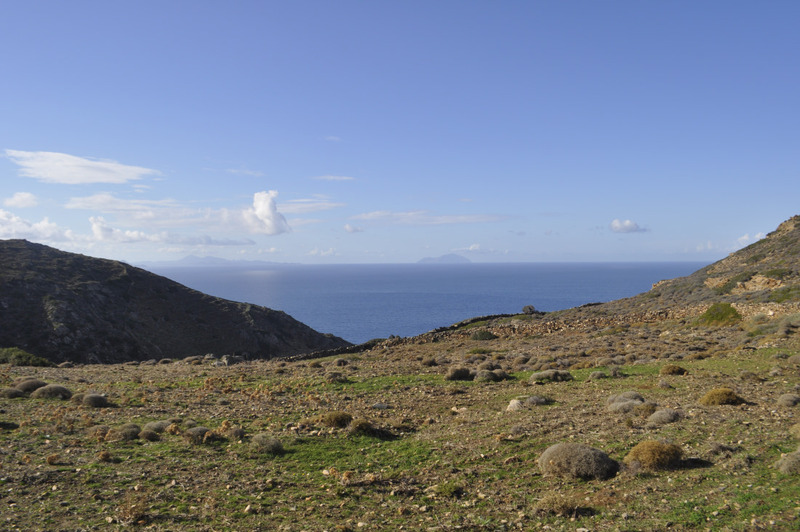 At the northern part of the island, vegetation is low, mainly small bushes, and the landscape is rocky and harsh. 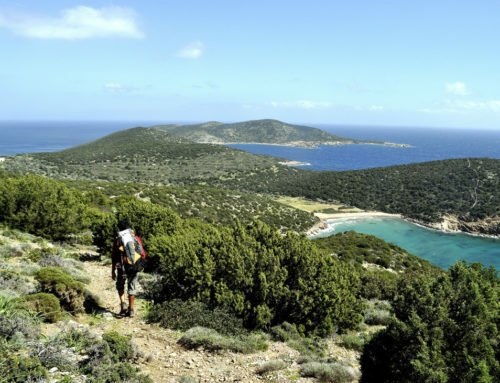 Trail 9 offers a beautiful visit on this characteristic part of the island. 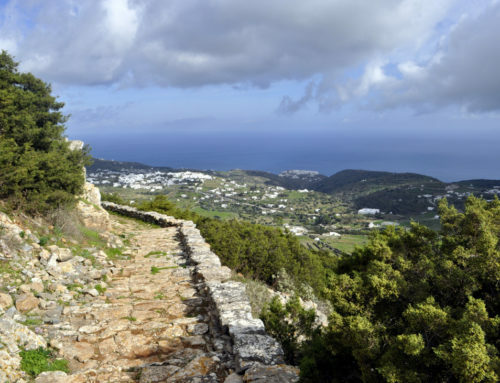 It starts from a place called Kambanario (on the main road to Cherronissos), and ends at the picturesque fishing village of Cherronissos. 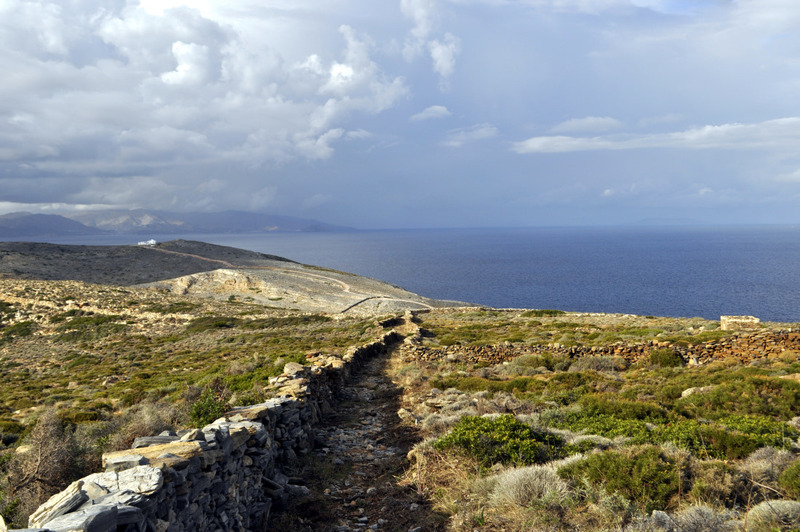 You will eventually arrive to a place called Ambourdektis. 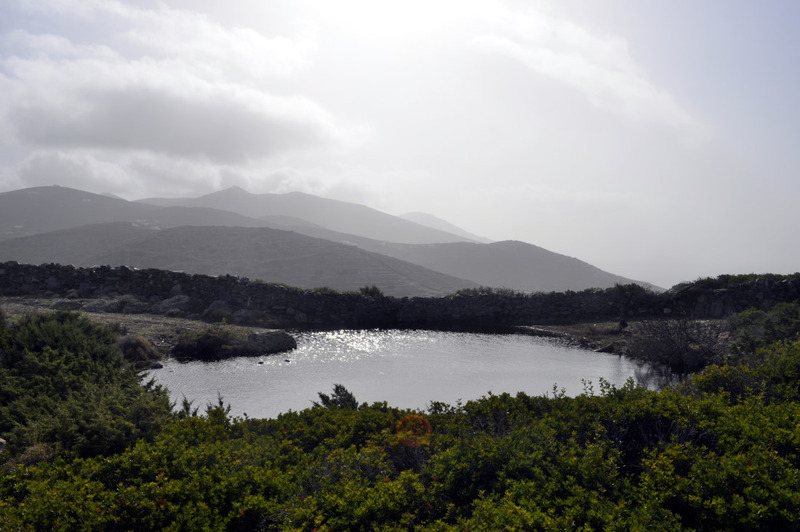 There, during Autumn, winter and Spring, you will see a small lake, the only lake in Sifnos! 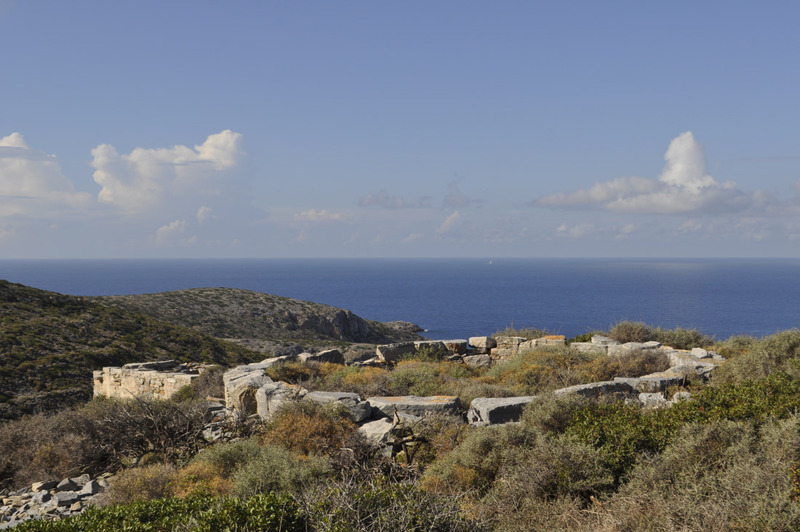 Nearby it, lie the ruins of an ancient tower. 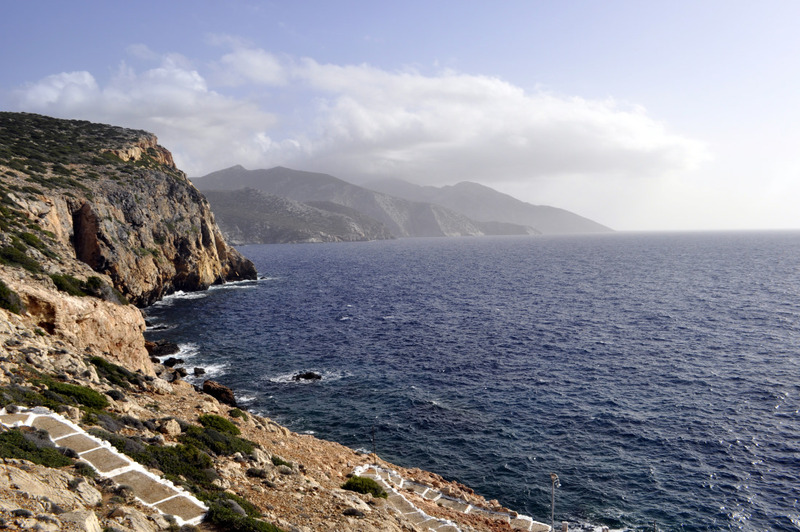 n Ambourdektis, you will have the choice of following route 9A, that leads to the church of Agios Filippos / Agios Nikolaos. 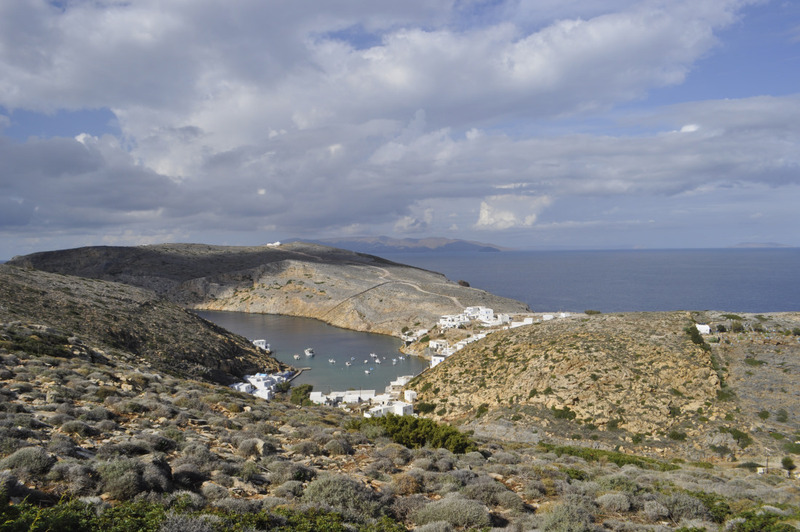 It is a beautiful detour before continuing your way down to Cherronissos, enjoying great views towards the Aegean Sea and Serifos island. 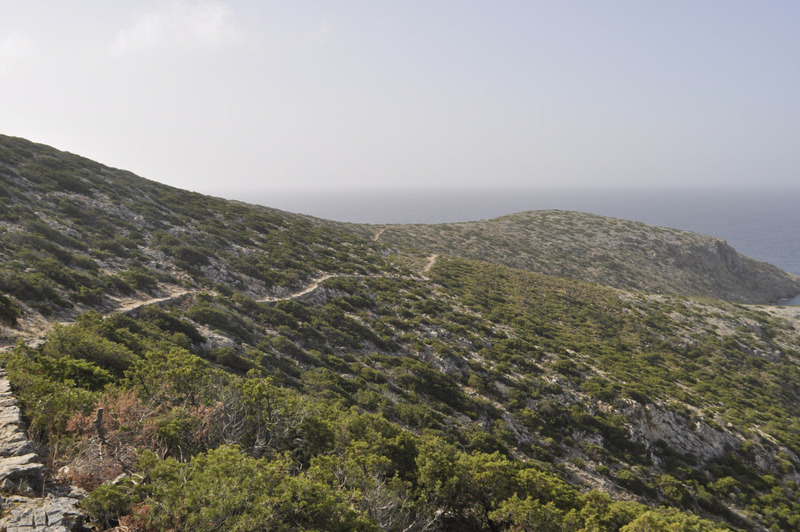 The beginning of the trail (at Kambanario) is about 2km before Cherronisos. 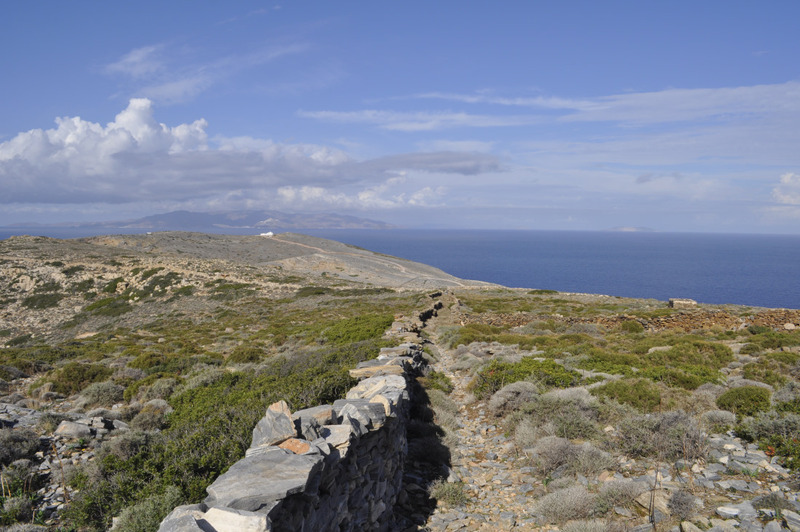 The starting point pole (“passalos monopatiou” – in Greek) is on the left side of the road, on the direction to Cherronisos. 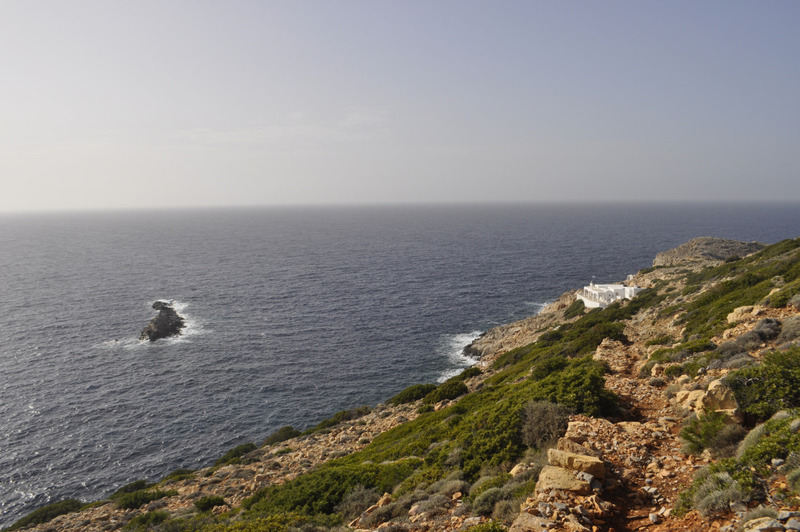 The bus stop at Cherronisos is uphill and the way there is indicated on the pole that is by the beach. 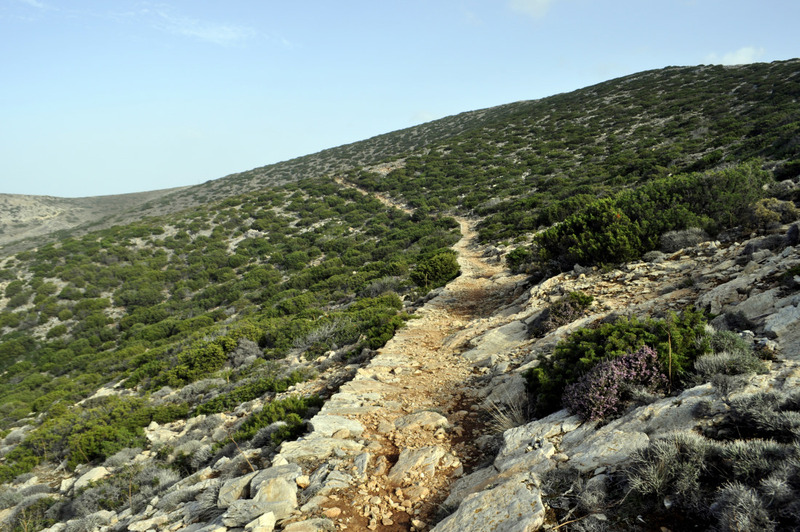 Trail 9A is an extension of trail 9. 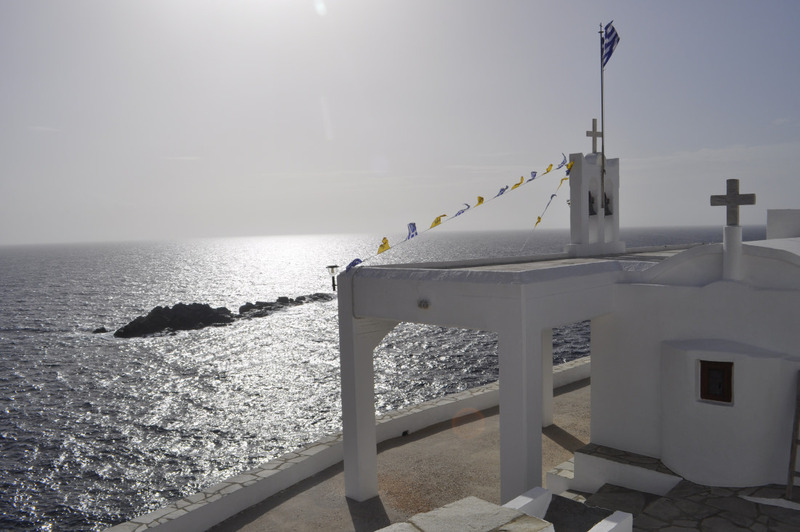 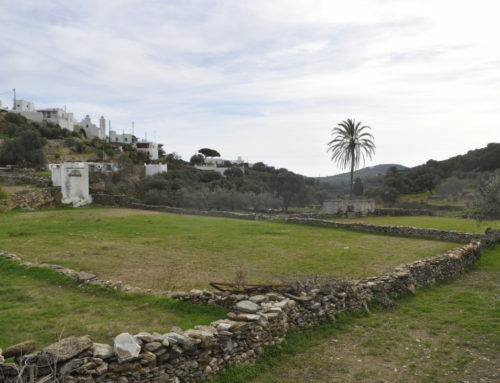 It links Ambourdektis to the church of Agios Filippos / Agios Nikolaos.  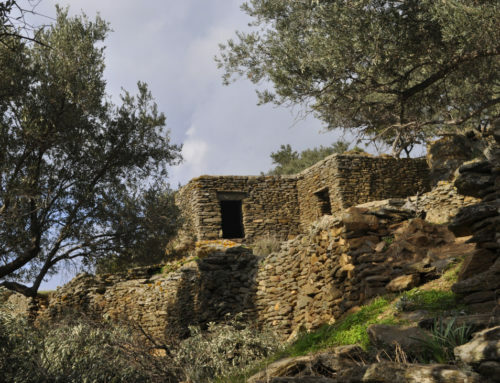 On the way down, you will pass by the ruins of the towers of Ambourdektis and Agios Filippos, as well as around “the lake of Sifnos”, a small seasonal lake. 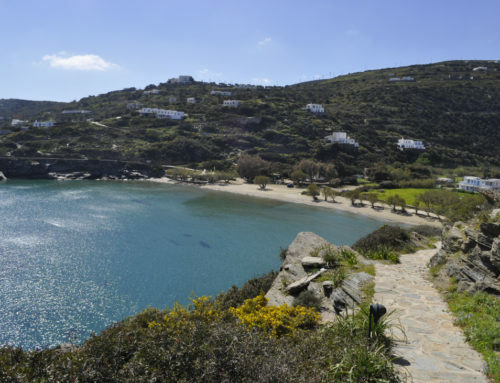 It is worth it to walk this trail and then walk on trail 9 to head down to Cherronissos, either to swim, or to take the bus.